If your in a state where marijuana is legal for medical or recreational use or both we are here to help you find a cannabis dispensary near you. Or maybe you’re going on a pot vacation somewhere and are not familiar with the area at all and need some guidance our marijuana dispensaries in the USA is a complete list of dispensaries in all states that some form of weed usage is legal. This is a work in progress and we will be adding to it as states join the legal marijuana trend and as we find out about new marijuana dispensaries popping up at new locations. Not only will you get information on where to buy weed but we will also include any location info that we can find to help you decide which dispensary is right for your smoking needs. Some are just medical and some are just recreational depending on where you are as well as what that particular weed shop has decided to specialize in. You will find that most that are in states where both are legal will have a medical and a recreational side. Using our marijuana dispensary finder you can find a dispensary that is closest to you as well as getting driving directions to it. We also list any contact info that is available for the location. this may be a phone number and email or one of the aforementioned. We work diligently to try and get you as much location information as possible. Search By Your Location And Find The Nearest Dispensary. The Weed Stash Calculator Is Here! Try out our new calculator that lets you know how much marijuana to buy based on your smoking habits! Perfect for anyone going on a pot vacation where you want to only buy as much as you can smoke before its time to get back home. Pot Shop Finder & Everything In Vapes, Smoke Accessories! We are the place to get your smoke fix no matter what and how you like to smoke! Not just that but we also offer growing supplies online shipped directly to you. So if you’re looking for a new vaporizer for weed, CBD oil, dry herb or shisha we can help and hook you up with what you need. Our map of Dispensaries in states that have legalized marijuana is geared towards helping you find a dispensary in your area or while you are on your pot vacation! 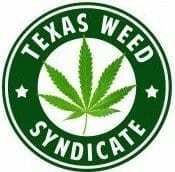 Here at Texas Weed Syndicate, it is our goal to supply you with the best in vaporizers as well as smoking accessories like pipes, hookah, and grinders. We offer vapes for oil, CBD, and dry herb use as well as some that are usable for all 3. Let us pair you up with the best vaporizers for your application. Most of our vaporizers are made to vape anything including weed or marijuana or oils and things like shisha as well. Most have a ceramic chamber when they have the ability to vaporizer dry herb. 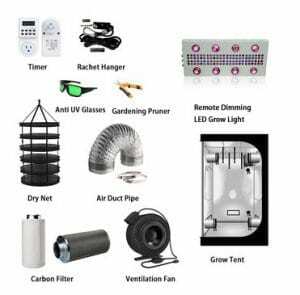 Not only this but if you have a desire to grow your own smoke will give you all you need to grow anything from prize tomatoes to plants with big yields of all sorts. We also carry harvest accessories like driers and processing equipment to get the most out of your harvest. At TWS our goal is to provide you with everything you need to enjoy your favorite smoke as well as the supplies to grow your own marijuana in states where you can do so legally. Medical marijuana is now an alternative to pharmaceuticals in 23 states in the USA and the list is growing. Growing your own medicine is a great way to save some bucks!